Many of the parenting choices that your father and I are committed to come from the Attachment Parenting philosophy. Staying consistent with Attachment Parenting ideals can be challenging for any parent, but especially for parents who work (or like me, go to school) outside of the home. 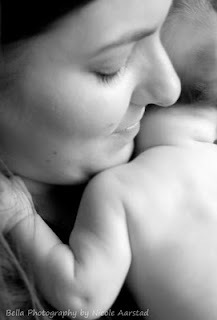 I had the opportunity to write a guest blog for Alternative Mama about how we strike a balance and make Attachment Parenting work for us, even with other obligations that need tending to. The piece I wrote can be found HERE. Every bit of tricky scheduling and every sacrifice have been worth it to ensure that you are cared for in a safe, sensitive, loving, consistent, positive way. You've already begun to demonstrate the independence and confidence that secure attachment provides, and it is a joy to watch as you come into your own in unique and charming ways. --Thank you to Alternative Mama for the opportunity to write this piece! Check out her blog, and if you like it, follow her on facebook and twitter, too! Glad to find you! Great blog, and this is such an important topic. I know so many who think AP is synonymous with Never Being Away from your child, so thank you for writing on this! I'm heading over to read your article.